The Supreme Court has directed the Union Home Ministry to "secure and ensure" the presence of embattled businessman Vijay Mallya, who is currently in the United Kingdom, before it on July 10 for the hearing on the quantam of punishment for contempt of court. 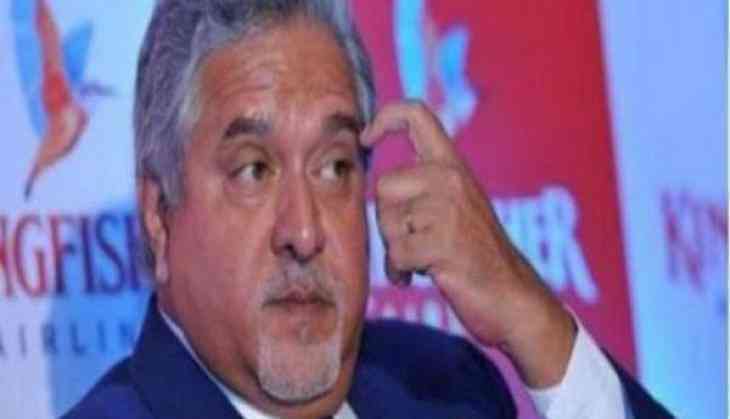 India had recently asked Britain to ensure early extradition of Mallya, who is an accused in a bank loan default case of over Rs 9,000 crore involving his defunct Kingfisher Airlines. "We direct the Ministry of Home Affairs, Government of India, New Delhi to secure and ensure presence of Vijay Mallya before this court on July 10, 2017. A copy of this judgment be sent to the Ministry of Home Affairs for compliance," a bench of Justices Adarsh Kumar Goel and Uday Umesh Lalit said. The offence of contempt of court entails a maximum imprisonment of up to six months or a fine of upto Rs 2,000 or both. The bench observed that Mallya has neither filed a reply to the contempt plea, nor has he appeared in person before it. Since he has been found guilty of contempt of court, "we deem it necessary to give him one more opportunity and also hear him on the proposed punishment". "We, therefore, adjourn matter to July 10 for hearing Vijay Mallya in person on matters in issue, including one regarding the proposed punishment to be awarded to him for contempt of court," the court, in its 26-page judgement, said. The apex court's order came on a plea by the consortium of banks, led by the State Bank of India (SBI), which had said that Mallya had not disclosed full particulars of his assets and violated various judicial orders. In its verdict, the bench noted that the orders passed by the apex court were "clear and unambiguous" and Mallya was called upon to make complete disclosure of his assets. "Whether the assets to be so disclosed were covered by the personal guarantee given by Mallya or not was immaterial. He was called upon to make a complete disclosure and was bound to comply with the directions," it said. The court also termed as "correct" the assertion made by the banks that details of bank account held in Edmond De Rothschild Bank were never disclosed by Mallya. "In fact, no details of any bank account with overseas banks were given by Mallya. The violation by Mallya could not be termed as a mere infraction. The violation by Mallya regarding non-disclosure becomes more pronounced because it is this very account held in Edmand De Rothschild Bank that was utilised to transmit funds to the tune of USD 40 million," the bench noted. Referring to the Karnataka High Court order, the apex court said it restrained Mallya and others from transferring, alienating, disposing or creating third-party rights in respect of movable and immovable properties belonging to them till further orders in the proceedings before it. It said all the properties, whether movable or immovable, were governed by the orders of restraint by the high court. "There is no ambiguity of any sort and the orders of restraint are quite clear. Consequently, funds amounting to USD 40 million which came to be under the control of and in the hands of Vijay Mallya were completely covered and governed by said orders of restraint," the bench said. "The explanation that the funds now stand transferred in favour of the trusts over which Mallya has no control at all, in fact aggravates the extent of violation. It is clear that the funds which were in control of Mallya have now been sought to be put beyond the reach of processes of court, which is reflective of the intent," it said. The bench further said the least that was expected of Mallya was to disclose the relevant facts pertaining to receipt and disbursement of USD 40 million. "Having considered the entirety of the matter, we find that Vijay Mallya is guilty of having committed contempt of court on both the counts," it said and directed Mallya to keep his affidavit ready to be tendered on July 10 by stating the mitigating circumstances, if any, and any other submissions he chooses to advance. The banks had alleged that Mallya had concealed the facts and diverted the money to his son Siddharth Mallya and daughters Leanna Mallya and Tanya Mallya in "flagrant violation" of the orders passed by the Karnataka High Court. Mallya's counsel had said that money which came from Diageo belonged to his children and not him.